Rep. Aaron Schock Resigns: Downton Abbey office raised spending questions. 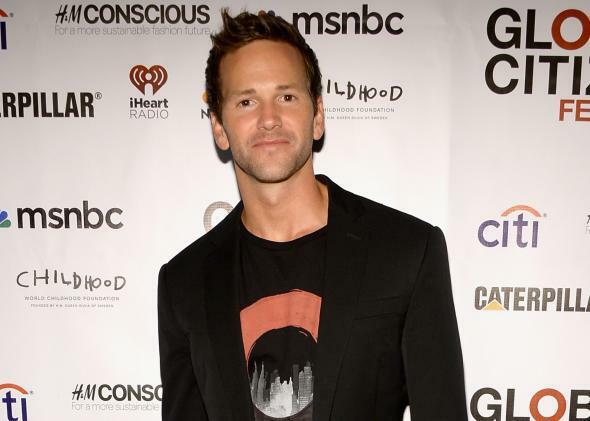 Hey, big spender: U.S. Rep. Aaron Schock at the 2014 Global Citizen Festival to end extreme poverty at Central Park on Sept. 27, 2014, in New York City. Brace yourself for bad last-name puns: Rep. Aaron Schock, an up-and-coming Republican congressman from Illinois (well, not up-and-coming anymore), is resigning, according to Politico. The paper published a statement from the congressman obliquely explaining his decision. Schock, who our own Mark Joseph Stern says is “at once a gay icon and a laughingstock,” saw his career take a nosedive after Ben Terris at the Washington Post reported that he had his congressional office decorated to look like the set of Downton Abbey. That story drew significant scrutiny to his spending habits, and the results weren’t pretty: Countless reports indicated that he had improperly used campaign and taxpayer dollars to fund the glamorous, jet-setting lifestyle that he chronicled on his Instagram feed. For instance, Politico reported that over the course of just three months last year, the young congressman spent $15,000 in taxpayer money on private plane flights. And in the last three months of 2014, taxpayers paid photographer Jonathon Link more than $17,000 to chronicle Schock’s adventures. (In December 2014, for example, a fedora-wearing Schock had himself photographed dancing the tango in the streets of Buenos Aires and Instagrammed it; it’s not immediately clear whether Link took that photo.) There are too many Aaron Schock scandals to aggregate in one blog post, but I highly recommend giving him a Google. On top of all that, one of his aides recently resigned over racist Facebook posts (including one that compared African-Americans to zoo animals). And Schock found cold comfort from fellow Republicans; Erick Erickson, the editor of RedState.com, quickly called for his resignation. Politico reports that “some in Schock’s circle” fear he could face a criminal investigation. If Schock goes to jail (big if! ), he will join the robust club of Illinois politicians who ended their careers incarcerated.